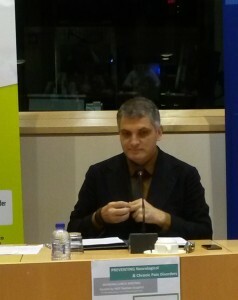 Romanian MEP Damian Draghici, member of the Human Rights Committee, introduced the meeting by expressing his personal interest in Brain, Mind and Pain. 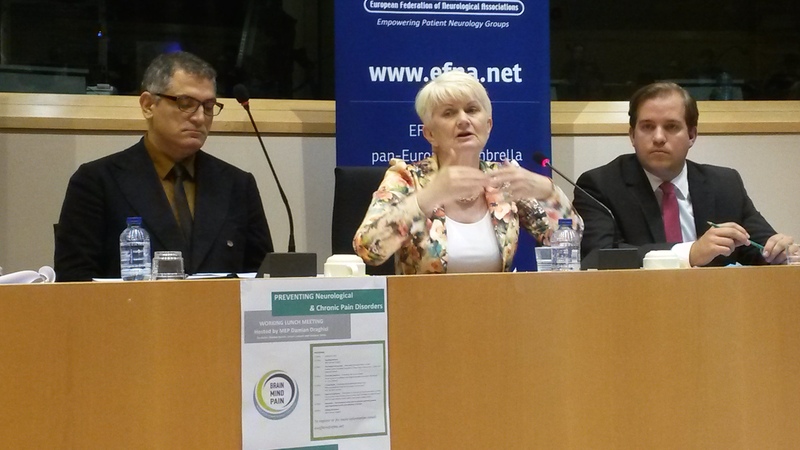 EFNA Past President, Audrey Craven, then voiced her own experience of living with and managing migraine. She said that although migraine could not currently be prevented, it can certainly be managed and that this was reflective of many neurological disorders. She emphasised the need for patient organisations to be resourced to support people affected by chronic disorders to self-manage and prevent exacerbations of such conditions. From the audience, Cynthia Bonsignoire of the European Patients’ Forum said that this approach aligned with their current campaign on patient empowerment: ‘Patients Prescribe’. This was followed by Dr Jenny Barnett who revealed that many neurological disorders which are deemed ‘unpreventable’, can certainly be prevented – at least in part – through simple lifestyle modifications. She used the example of Alzheimer’s Disease in which approximately 50% of the risk of developing the disease is attributable to seven modifiable risk factors. During the discussion this was supported by Prof. Wolfgang Oertel of the European Academy of Neurology who said that good sleep patterns – for example – could not be underestimated, and supported Dr. Barnett’s call for more education and awareness raising of these facts. Dr. Barnett also emphasised the need to target young people, saying many of these diseases begin to develop during our youth, even if they do not obviously manifest until later life. She said that much could be done and that prevention was generally cost-effective; yielding a good return on investment. She cited an example of a stroke campaign in Sweden which saved the economy an estimated 85 million SEK for an investment of 50 million SEK. 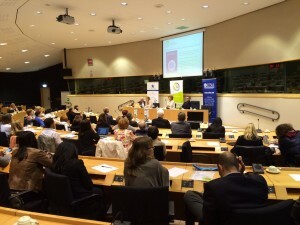 This linked in with the subsequent contributions from MEP co-chairs Marian Harkin and Jeroen Lenaers who discussed an upcoming EU Strategic Framework on Health and Safety at Work, the draft of which included a call for the implementation of a Directive on the Prevention on Musculoskeletal Disorders. Both Jeroen Lenaers and Marian Harkin then agreed to place our amendment – or version of same – which ‘draws the attention of the Commission to the increased number of those affected by chronic diseases/conditions in our workforces and the need to encourage and support employers to make reasonable accommodations to their working environment to prevent the exacerbation of these conditions and providing opportunities for supported self-management’. This will be discussed further in the Employment Committee in September. Audrey Craven, as Chair, thanked the MEPs for their support in endorsing the core concern of the Interest Group in relation to the Framework; that preventative measures are extended to those living with chronic conditions so that their working environment can help to prevent a worsening of their condition or trigger a relapse. During the discussion that followed, the need for further research into prevention was put forward. Lars Kristiansen of the Federation of European Neuroscience Societies said that his organisation was working on a Consensus Document for Research and that this would be based on societal challenges – aligned to H2020 – and include contributions from all players in the value chain, including patient organisations. However, Joop van Griensven of Pain Alliance Europe said that research was a long-term aim and that more should be done in the short term to support those already affected by these chronic diseases. A number of Romanian delegates expressed concern that more needed to be done to eradicate stigma and raise awareness, before work moved to prevention. They also said that the migration of health professionals to Western Europe was making access to specialists difficult for patients already suffering – and appealed for the Interest Group to put both issues on the agenda. Another issue which arose was the updated international classification of diseases (ICD-11) by the World Health Organisation, which is due in 2017 – this was seen as both a challenge and opportunity for neurological and chronic pain disorders and further exploration of this initiative was suggested. Step 1: The EU Charter of Fundamental Rights enshrines the access rights of everyone ‘to preventive health care’ and the right to benefit from medical treatment under the conditions established by national laws and practices. We call upon the European Parliament and European Commission to monitor the implementation of the Charter and to identify, highlight and strive to rectify breaches. The Interest Group will use its network of national and European patient organisations to identify breeches and to challenge them at the highest level. 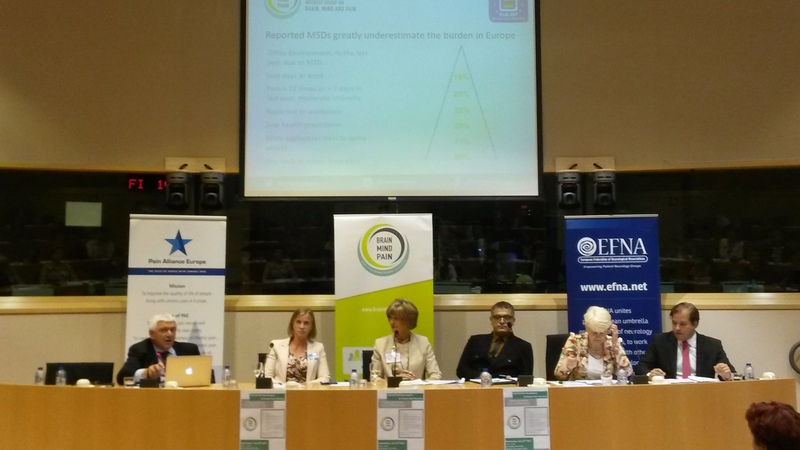 Step 2: Patient-group led public awareness and education campaigns should be supported and funded by the European Commission to educate society about reducing the risk/preventing neurological and chronic pain disorders via lifestyle changes. The Interest Group plans to host a pilot event in Romania on this topic in early 2016. If successful we would like to see a series of multi-stakeholder roundtables (or similar) roll out across the EU and would look to work with the European Commission on this. 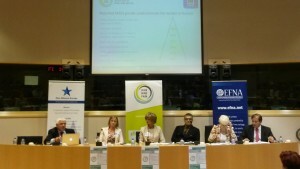 Step 3: For those already living with neurological and chronic pain disorders (and for those that cannot be prevented), patient organisations should be facilitated and encouraged to empower patients in supported self-management to prevent the worsening of the condition and to maintain their place/reintegrate into the labour and social communities. The Interest Group will work with other stakeholders in the field in ongoing and future activities around self-management and patient empowerment e.g. 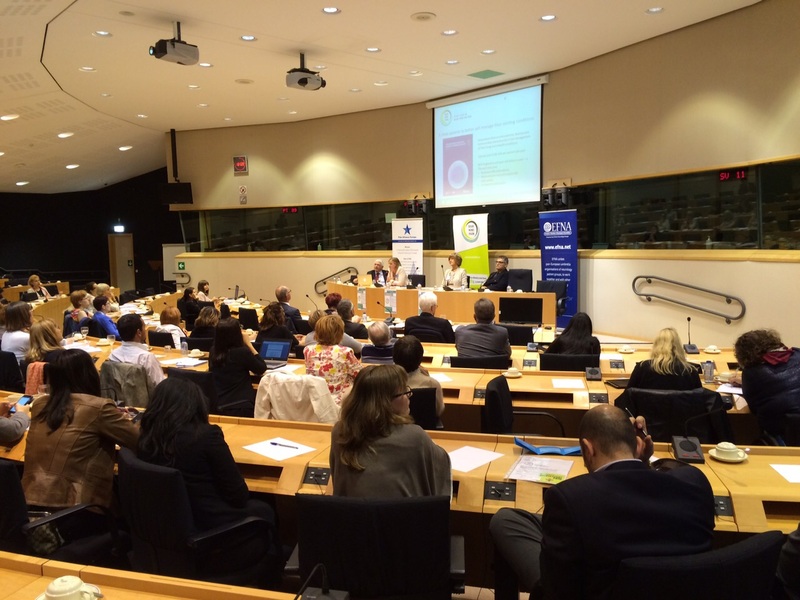 European Patients Forum. Step 4: Further support for research is needed to ensure that we can extend success to date in preventing certain chronic pain and neurological disorders. Public funding will be required through vehicles such as the IMI and Horizon 2020. The Interest Group will work with partners (e.g. the European Brain Council) to achieve this goal and will strive to ensure patient focus and involvement in initiatives by working with/in project consortia in this field, wherever possible. Step 5: The Health and Safety Framework should ensure that workplaces are configured to prevent the development and exacerbation of chronic pain and neurological disorders/conditions – keeping those affected by these disorders at work and reintegrating those who previously left the workforce to the benefit of the patients themselves as well as broader society. The Interest Group will work with relevant MEPs and partner patient organisations to aid those affected to self-manage their conditions in the workplace, such as through the tabling of the proposed amendments. We will also hold an Interest Group meeting in early 2016 on this topic.